This hotel is within 1 miless of the Garden City Amtrak Station and the Lee Richardson Zoo. 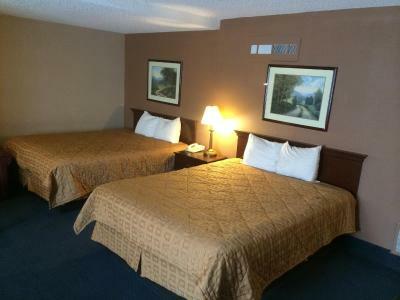 Free WiFi and a TV with cable channels are offered in each room. Tea and coffee-making facilities, a refrigerator and a microwave are included in every room at Sunflower Inn & Suites - Garden City. A microwave and a hairdryer are also provided in each room. 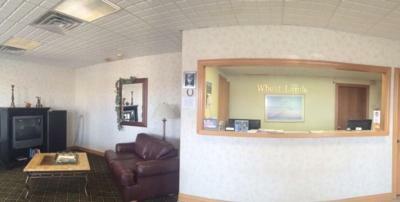 The reception desk is available 24-hours a day at Garden City Sunflower Inn & Suites. Laundry facilities and vending machines with drinks are available on the property. The City Pool is 1 mile from this Inn. St. Catherine Hospital is 4 minutes’ drive away. When would you like to stay at Sunflower Inn & Suites - Garden City? 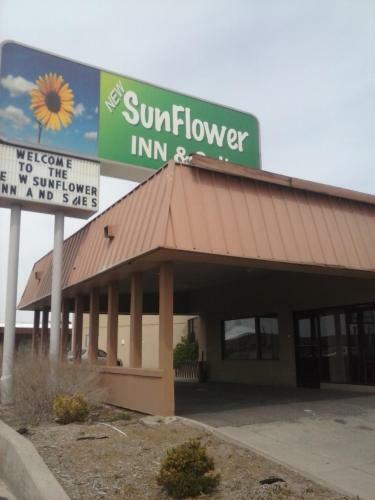 House Rules Sunflower Inn & Suites - Garden City takes special requests – add in the next step! Sunflower Inn &amp; Suites - Garden City accepts these cards and reserves the right to temporarily hold an amount prior to arrival. Sunflower Inn & Suites - Garden City accepts these cards and reserves the right to temporarily hold an amount prior to arrival. Was not given wifi info. No one came to put out breakfast. Lobby was across busy street. Twice when I came for information no one was there. Bed was very very uncomfortable. I had to change rooms because the tv was broke. Also there was no directions given about where the breakfast room was located. Never could find it. The WiFi didn’t work. Really basic breakfast. The coffee was watery and it had coffee grounds. The room was very big. No hot water in sink or shower. Wind blew thru the frame of door and heater didn’t work. No breakfast No clean towels Did not take care of bed etc. Beds were hard! Said there was breakfast but we went at 745 and there was nothing! Cheapest we found and it was clean! Close to highway, large room, quiet. The heater did not work the second day. The pillows were horrible - old flat, definitely needs replaced. Mattress not comfortable. No place to walk a pet except by the very busy street. Did not like having to cross the busy street to get to the office. Room very very dark. Basically horrible lighting. Room key did not work the second day. The size of the room was wonderful. It was close to where I needed to be everyday. Price was reasonable except for the pet fee. Needs updating. Old motel with old bedding and furnishings. Manager charges for service dogs. Breakfast was only cereal and mini muffins. Room was freezing and it was a very cold night! Heater had not been turned on befor I arrived. It was a large room and took over 3 hours to get warm. Also, no hot water. Went for be real fast in the morning and no coffee - would have to wait while the staff person made it. Also, no hot water or tea bags.